How do we engage with one of the world’s fastest-growing countries? A number of collaborative projects provide a glimpse of the way Indonesia will shape our creative practices in the future. The current issue of Garland uses the call “rame rame” (let’s do it) to reflect the particularly informal nature of creative collaboration that characterises Indonesia, which builds on the principle of “gotong royong” (mutual cooperation) on which the nation was founded. Speakers consider the nature of this practice and the questions it raises. While it provides a freedom to work together, does the lack of formality have a cost? Do more formal Western cultures have a positive role to place in Indonesia, such as education. 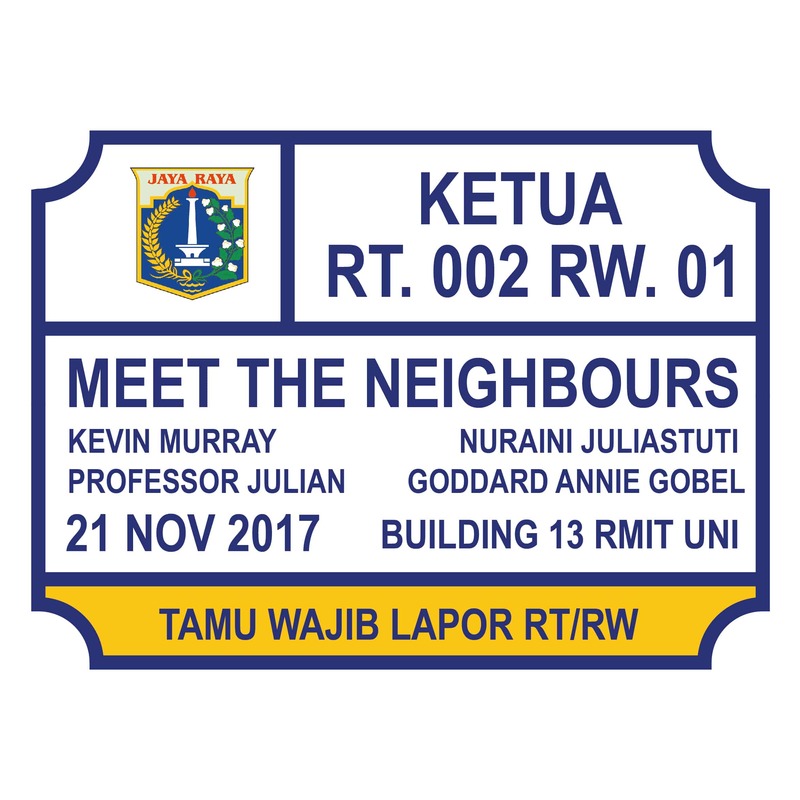 Speakers include Annie Gobel (RMIT jewellery graduate and winner of this year’s Radiant Pavilion People’s Choice), Professor Julian Goddard (Head of RMIT School of Art) and Nuraini Juliastuti (founder of KUNCI in Yogyakarta). There was a great turnout to the “Meet the Neighbours” forum, including many local Indonesians. 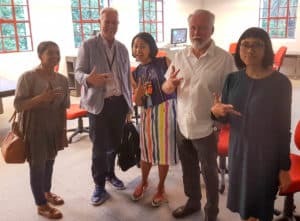 We heard from Kusumawardhannie (Annie) Gobel talk about the Complete Me project that extended an Indonesian approach, blending friendship with art, to the otherwise very cool contemporary jewellery scene in Melbourne. Nuraini Juliastuti spoke about the complexities of the “gotong royong” principle in the history of the Indonesian nation, which ranged from a very collectivist movement under Sukarno to situations where it can be used coercively. 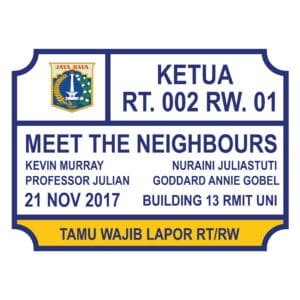 And Julian Goddard spoke about the very intense and quite intimate exchanges between Indonesia and Australia, particularly from Perth, going back to the 1960s. The audience contributed a range of views. Alison Carrol spoke about the decline of Indonesian languages in high school and universities. One local Indonesian said that he found Indonesian art too fixed on a certain kind of politics and he appreciated the greater diversity in Australia. Multicultural Arts Victoria rep Andy Miller informed us of all the Indonesian art that features in the upcoming Mapping Melbourne festival. Finally, Julian reflected on the need to consider the extraordinary craft skills in Indonesia. How does Indonesian principle of”gotong royong” compare with the recent emergence of post-capitalist art in Australia, as we saw in the Love and Money issue? As a form of free labour, how can we prevent “gotong royong” being exploited, particularly by institutions? Given the interest in the formal education capacity offered by Australia, how can we ensure that the free spirit of Indonesian modern art is preserved? What is the model for traditional crafts that goes behind the declining “creative industry” approach of commodity production? 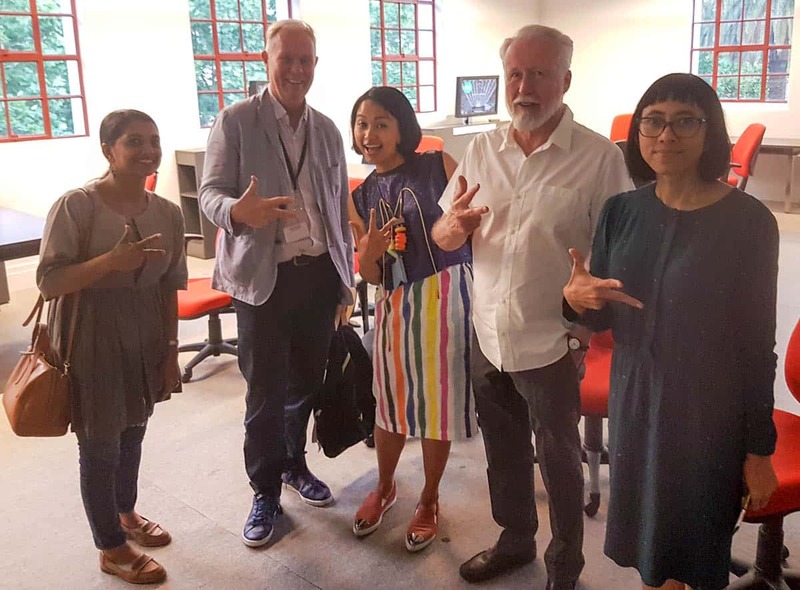 Garland contributor Mitraja Vyas, Professor Julian Goddard, Kusumawardhannie Gobel, CAST Director Geoff Hogg and contributor Nuraini Juliastuti, all together making the “K” for Kreative.